Long before he joined the LAPD, Det. Sgt. John Milton had already earned a reputation in the Los Angeles area. 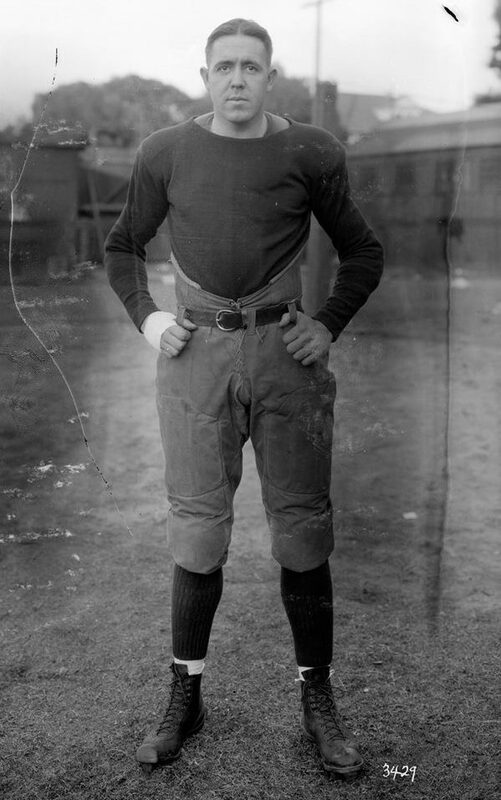 While in college, Milton played right end for the University of Southern California football team, and was a member of the first USC team to play in the Rose Bowl, on Jan. 1, 1923, when USC defeated Penn State, 14-3. John William Milton was born Nov. 9, 1898, in Fort Scott, Kansas, the youngest of seven children of the Rev. Charles Lewis Milton and Susan Calloway "Suna" Milton. The family moved to Milwaukee, where Milton played football at South Division High School. After high school, Milton attended college for one year in Transylvania, Kentucky -- his parents' home state -- before he transferred to USC. After college, Milton married Benigna "Beta" Olivera, and joined the LAPD. The couple had two children -- Charles, born in 1934, and Denise, born in 1935. On Monday, May 16, 1949, Milton -- a 21-year veteran of the LAPD, who had attained the rank of detective sergeant -- was sent to a home at 6416 Vesper Ave., in Van Nuys, after neighbors reported hearing gunshots. That morning, the 62-year-old resident of the house had purchased a .32-caliber handgun for $25 at a gun shop on Erwin Street in Van Nuys. A few months earlier, the resident's wife moved out, and went to live with their son on Ventura Boulevard. At the time, the son took a shotgun out of the house, which the resident reportedly used to threaten his family. The son also took steps to have his father committed to a mental institution. At about 10 p.m., after purchasing the handgun, the man walked about a block to the gas station at the corner of Vesper and Victory Boulevard, and showed his new gun to the gas station manager, then asked the manager to accompany him back to his house. "I tried to get him to put the gun away," the gas station manager said. "He put it in his pocket. He said, 'At 6 a.m., I’m going out to get my son.' "
The gas station manager left the house at about 10:15 p.m. Soon after, neighbors heard gunshots and called police. Milton and his partner, Det. Roy S. Ingham, went to the house on Vesper Avenue. As Ingham approached, the resident came out of the house holding the gun, and asked Ingham what he wanted. Ingham said he just wanted to talk. Milton snuck up on the resident from behind, grabbed him, and tried to take away the gun. The resident turned and fired two shots, with one hitting Milton in the stomach. As the two men fell to the ground, Milton drew his service revolver and fired one shot, hitting the man in the head. The man died at the scene. Milton was first brought to Van Nuys Receiving Hospital, and was being taken to the Georgia Street Receiving Hospital in Los Angeles when he died in the ambulance. In addition to his wife and two teen-age children, Milton was survived by a sister and four brothers. Milton's funeral services were held at the First Baptist Church in San Fernando, and were attended by Police Chief Clemence Horrall and an estimated 700 police officers, family members and friends. Milton was buried at Glenhaven Memorial Park. The owner of the gun shop on Erwin Avenue was charged with selling a gun without a permit, and delivering a gun at the time of sale. He said he didn't know he was violating the law, and pled guilty to the charges. Milton's sign is located on the southwest corner of Vesper Avenue and Gilmore Street, a block north of Victory Boulevard in Van Nuys.